Writings: Fire ants out of control. 321 suburbs infested: up from 284 in 2016. Another 26 likely infested. Time for a Senate inquiry. In 2001, international experts said the fire ant infestation in south-east Queensland was too entrenched to eradicate. They said the best option was to restrict them to a small area and bait that area to suppress them. In 2001, a senior manager said ‘The movement of fire ants from infested businesses is the greatest threat in the whole program: irrespective of the political fall-out of such decisions.’ If that had happened, it is likely the fire ant infestation would be a fraction of the 400,000ha+ it covers now (twice the size of the Australian Capital Territory) and have cost a fraction of the $440m+ of public money spent on it so far. 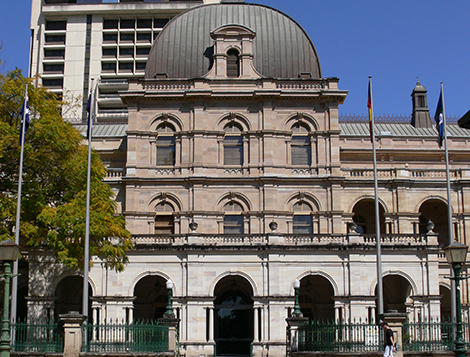 But politics trumped science, and Minister for Primary Industries and Fisheries, Henry Palaszczuk declared Queensland would eradicate fire ants because the federal government would fund an eradication program, but not a containment program. To remove any doubt the program was an eradication program and not a containment program, Biosecurity Queensland disbanded its large team of biosecurity inspectors: inspectors who worked with businesses that dealt in fire ant carriers like soil, mulch, compost etc to develop plans to mitigate their risk of spreading fire ants, who audited those plans and who prosecuted those who did not comply. Instead Biosecurity Queensland dumped that responsibility onto the public via the ‘General Biosecurity Obligation’ in the Biosecurity Act. It says people and organisations living or working in fire ant biosecurity zones have a legal responsible to take all reasonable precautions to ensure they don’t spread fire ants. But people in south-east Queensland do not know if they live in a biosecurity zone because Biosecurity Queensland’s most current fire ant biosecurity zone map is two and a half years old: dated July 2016. In July 2016, 284 suburbs were infested. Today, 321 suburbs are infested with another 26 likely to be infested. In Brisbane City fire ants have infested even more southern suburbs and spread north into East Brisbane, Bracken Ridge, Brookfield, Greenslopes, Upper Kedron, East Brisbane, Fairfield, Holland Park West, Bridgeman Downs, Fitzgibbon, Bridgeman Downs. The adjoining suburbs of Carseldine, Aspley, McDowall, Zillmere, Chermside, Chermside West, Stafford Heights and Everton Park are also likely to be infested. North of Brisbane, the Moreton Bay region is now infested. Fire ants have been found at Camp Mountain with the adjoining suburbs of Albany Creek, Brendale, Everton Hills, Eatons Hill and Bunya also likely to be infested. Even further north of Brisbane, Beerwah, on the Sunshine Coast, is now infested. West of Brisbane, Ipswich City is now fully infested since fire ants were found in Pine Mountain. South-west of Brisbane, the City of Logan remains fully infested. And east of Brisbane, Redlands City is virtually fully infested. South of Brisbane, fire ants continue to spread from the northern suburbs of the Gold Coast south into Hope Island, Labrador and Helensvale, towards the New South Wales border. The adjoining suburbs of Paradise Point, Hollywell, Runaway Bay, Coombabah, Arundel, Molendinar, Ashmore, Southport, Main Beach, Labrador, Biggera Waters and Parkwood are also likely to be infested. South-west of Brisbane, in the Scenic Rim area, fire ants have spread into Anthony, Munbilla, Rosevale, Obum Obum, Moorang and Kalbar and the regional town of Beaudesert. In the Lockyer Valley, west of Brisbane, fire ants have spread west and south into Kensington Gove, Laidley Creek West, Hatton Vale, Lake Clarendon, Mulgowie, Regency Downs and Thornton and into the regional town of Gatton. In the Somerset area, north-west of Brisbane, fire ants have really taken off: spreading into Brightview, Prenzlau, Borallon and the regional towns of Lowood and Fernvale. It is time for a Senate inquiry into this colossal waste of public money. Scientific advice has always been for a tight containment program. A containment program would likely have contained the fire ant infestation to a fraction of the 400,000ha it now covers (twice the size of the Australian Capital Territory) at a fraction of the cost. Biosecurity Queensland’s unscientific and futile fire ant eradication program has put $400m into Queensland Treasury and produced more public harm than public good. Queensland Minister says fire ant program 'world class.' Fake news!